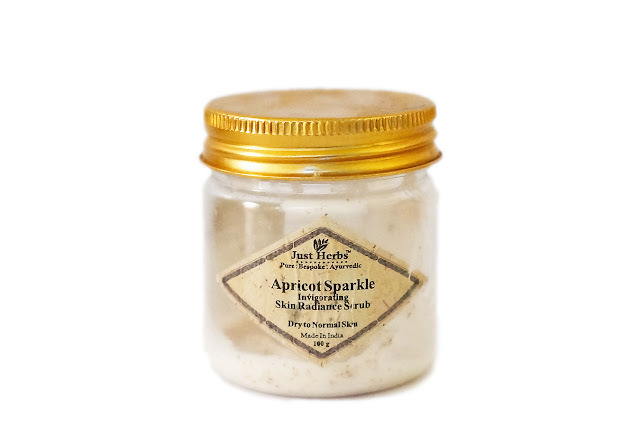 Just Herbs Apricot Sparkle Invigorating Skin Radiance Scrub - "Revitalise your complexion with this facial scrub. It smoothens rough skin patches, leaving an even tone. 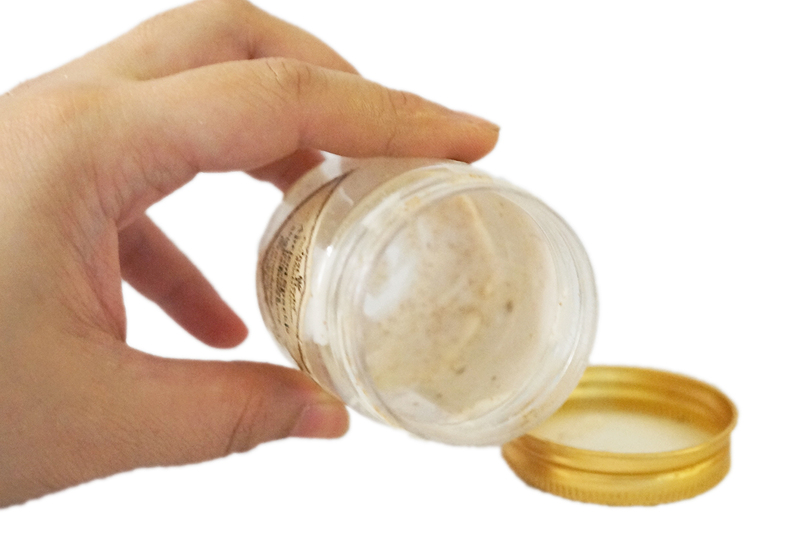 Regenerate your skin cells with apricot kernel oil and walnut shell grains. 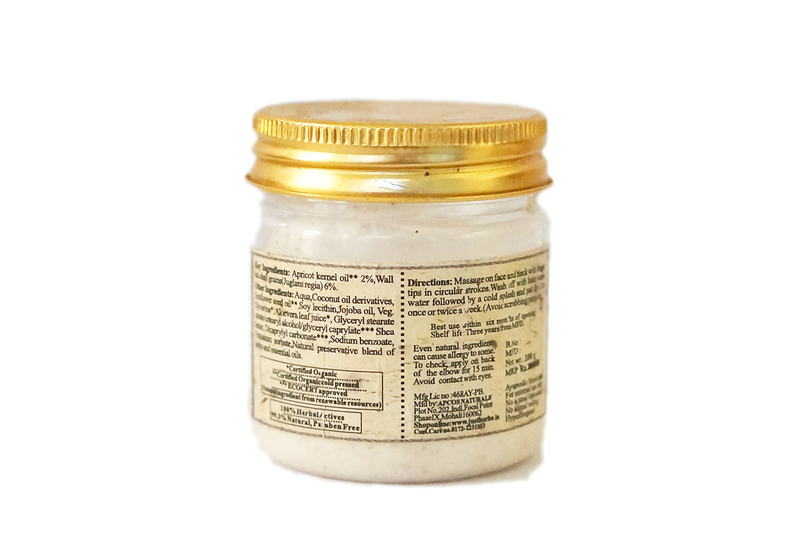 These ingredients help to perform gentle exfoliation to keep your skin healthy"
Hey guys. Happy Lunar New Year to those celebrating. Coincidentally, it's also the start of the week but since it's a holiday and I don't have to work today. I have been focusing more on taking care of my skin and wearing minimal makeup. It might be reason why I haven't posted any makeup reviews lately, at least not as frequently as I used to. As a result, I've made some progress on using up some of my stash and re-discovering old favorites. I'm particularly fond of Just Herb's Honey Cleansing Gel but it's always sold out at Sephora (Luxola) so I picked this up as a replacement. 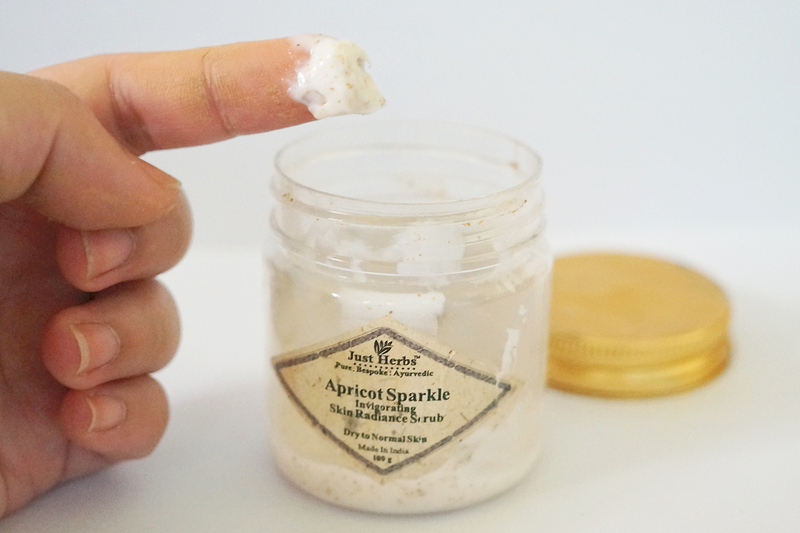 I'm really happy I did as I also like this scrub as part of my daily face exfoliation. The apricot beads are just the right size so it doesn't hurt when rubbed on the face. The creamy texture is also very rich and moisturizing and doesn't leave my skin dry. This face scrub does a good job of rejuvenating my skin whenever it feels oily and dull. I slowly massage this in, making sure to concentrate on my oily parts (nose, forehead). A small dollop goes a long way and the creamy part is actually absorbed into the skin. I leave it on for a minute before rinsing. I see an improvement each time I use this. My skin feels soft and smooth, and looks radiant, clear and refreshed. After regular use, it also helped with fading blemishes and pimple marks. 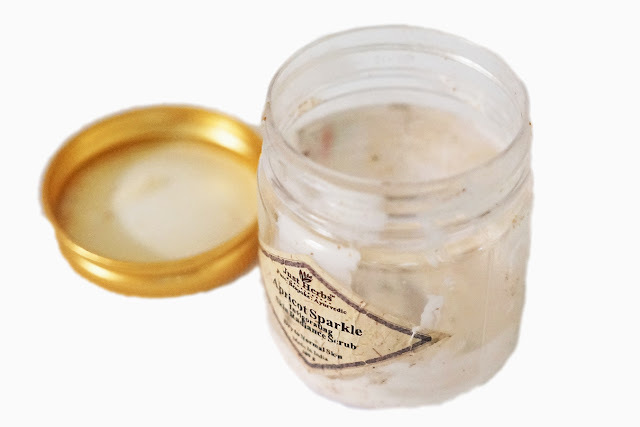 I also like the herbal/vanilla smell, which is very faint and not overpowering, This small tub actually lasted me quite awhile (around three months). I just wish they restock soon because I'm running out soon. *_* Just Herbs have become one of my favorite brands. Their affordable, Ayurvedic, and organic skin care products are made of quality ingredients and are generally very effective.